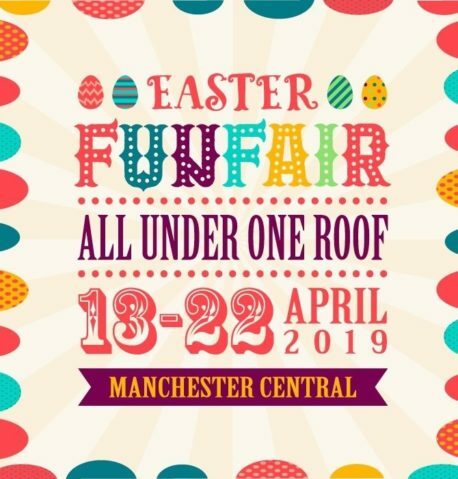 Book tickets: Easter Funfair at Manchester Central. The Cadbury’s Creme Egg adverts are already on the telly, which means Easter can’t be far away. And if you’re looking things to do over Easter, there’s this 10-day funfair running through the school holidays, right until Easter Monday. It’s even an event that the April showers can’t spoil, as it takes place completely inside Manchester Central. The full info isn’t available just yet, but there will be traditional favourites such as dodgems and a carousel, and some thrill rides for the older kids. Inflatables and a play centre will be there for the young ‘uns. You can also test your skills on a range of funfair games, and then get some well needed sustenance at the food stalls. Sessions will run twice a day, and your ticket includes unlimited goes on all the rides.